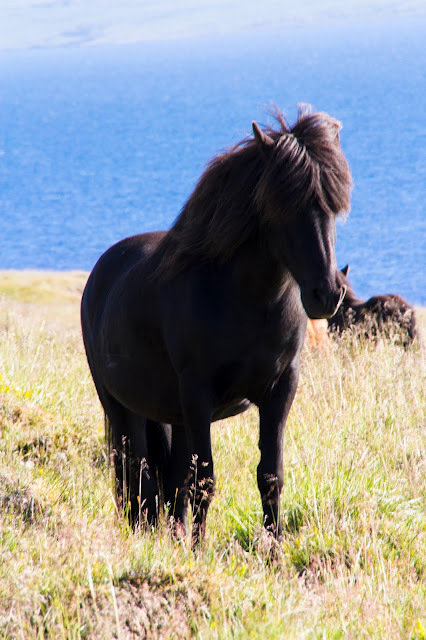 I love Icelandic horse and they are all over the countryside. 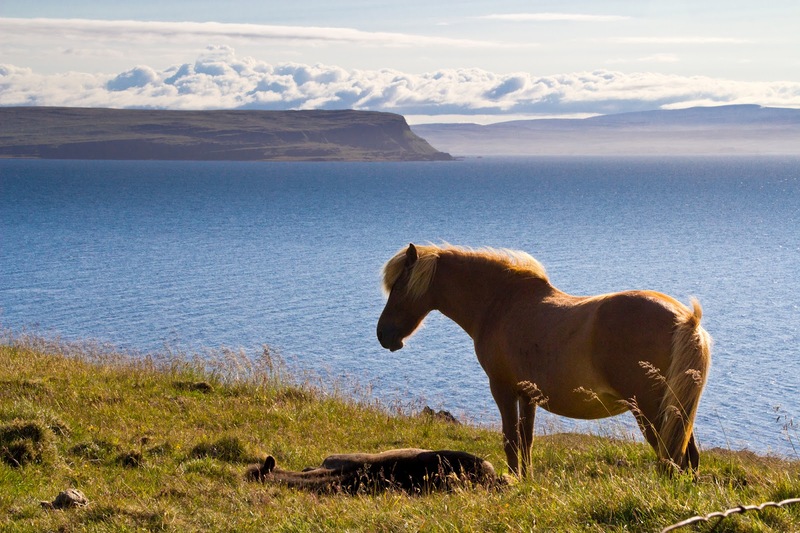 Here I am bringing a few snapshots from a family of horses on the water side of Vatnsnes, Northern Iceland. He is really proud but he has reason with his folly and his girls. I love how free they are roaming big fields especially along the coast line. In the back you see the outer side of the Westfjords.